Tom Stacey comes into my office. He is tall, awkward and I notice early on that he has a number of quirky mannerisms, like a habit of mumbling under his breath, bowing his head when he speaks and a way of continuously scrunching his eyes closed when uncomfortable. He takes hold of the chair opposite my desk and he drags it a couple of feet to the right before sitting. He immediately stands and pulls the chair the other way. He sits again, plays with the lever on the chair, adjusting the height. He then tells me that my desk is messy. I look at my sheet of questions but I don’t read any. I just take a moment to compose myself. When I raise my head he is tapping a stack of books so the edges are neatly aligned. You’ve spent a lot of time researching the whole idea of attractiveness, Tom. Could you tell me what makes a person attractive? It’s a complicated business, ye know. It depends as much on the looker as on the person who is being looked at, the lookee. Is that what you’d call someone being looked at? A lookee? Wait, is lookee even a word? I don’t know if I’ve ever heard it before but it sounds like something that should be a word, don’t you think. Yeah, it would probably make a good word, Tom… Would you say that people are more attracted to a particular type of face? Not really, I don’t think so. People are attracted to all different types of faces. Take your face. I’m sure there must be someone out there who is attracted to it. What do you mean? What’s wrong with my face? I don’t mean that there’s loads of things wrong with your face. I just mean that there’s a whole load of other things that come into play when considering why somebody is attracted to something or someone. Like , imagine you are into teddy bears. I don’t mean actually into teddy bears. Fond, that’s the word I should have used. Yes, imagine you are fond of teddy bears and you have two, one which is brand new with massive sparkly eyes and spotless fur and a bright button nose. And the other one is something that you got off your granda about thirty years ago and it’s all squashed and the fur is a bit haggard and the whole head is lob-sided. But instead of bringing the new teddy to bed with you every night you still want to bring the old one. It’s kind of like that. So what you’re saying is that there is a lot more to attraction than just the visual aspect? Tom looks past me for a time but when I turn around I can’t see anything out of place. The wall is a plain white apart from a small segment where the paint has peeled away. It takes me a moment to get his attention again. Yeah, of course. But if you’re just talking about physical appearance then there are some stereotypical features that you’d associate with being attractive. Symmetry seems to be key there. If one side of your face folds neatly onto the other then that’s a good start. And cleanliness. Or at least the appearance of being clean. How you dress might even come into play. And what about attraction in the modern world, is there any way to stand out when meeting someone in the online environment? Oh no, I don’t like the whole business of online dating. I think that people treat those online dating agencies like buying a new jumper. They just flick through the pages until they see one that they like the look of. That might work for some. That’s true, but I’m telling you now that I’ve never bought any clothes from an online store that have fit me properly. Plus, there’s always this notion that there might be a better jumper on the page that you didn’t bother checking. And imagine you started to think about that when you’re on your date, munching on a glazed carrot, all the while wondering what the person on the next webpage might have been like to go out with. And then you start thinking about photo 233, the girl from Cabra that likes rollerblading and prefers men who don’t smoke. Not that I’m into rollerblading or anything like that, but you know what I mean. Because then you’re not going to be concentrating on the date. You’re going to be concentrating on what might have been, with a woman that you don’t know that much about, except maybe that she’s pretty good at taking pictures of herself with a camera phone. You sound like you’ve been involved in dating websites before. It was a dating agency. And how did you get on? So, from your experience, would you say that all dating agencies are useless? No, of course not. That’s like saying that trains should be banned, instead of advising people against headphone use. Headphone related deaths and injuries have tripled in the last 10 years. And most of these involved trains. Sometimes it’s not about the train but it’s about the headphones. So sometimes it’s not about the agency but about the individual? I know. I was just clearing it up. Oh, I thought it was pretty clear in the first place. Do you think there are outside influences which affect what you find attractive or is it an inbuilt thing? I’m sure there are things that have been passed down through generations, signs that might indicate somebody who would make a good father or a good provider. But that doesn’t explain why some are attracted to meek, gentle partners or vain, selfish people. I think it’s more complicated and it can change during a lifetime. I suppose experience could come into play, like there could be some twisted logic in thinking that a person might be attracted to someone who has similar attributes to a parent purely because they will associate security with this. I’m not sure about parents. I didn’t really know my parents. They died when I was young. Sorry to hear that Tom. Do you believe that might have some impact on you when it comes to selecting a partner? It might, I guess. I’m not sure. They died in a fire. I stay quiet. Tom scrunches his eyes for a time. Funny, people often say lost to a fire or lost to a tragedy. I don’t know if the word lost really sums up something like that. I mean, lost sounds more romantic or something. Well, maybe not romantic, probably more like it puts this image in my head of my parents roaming the streets, trying to find their way back. Funny that. Isn’t it? 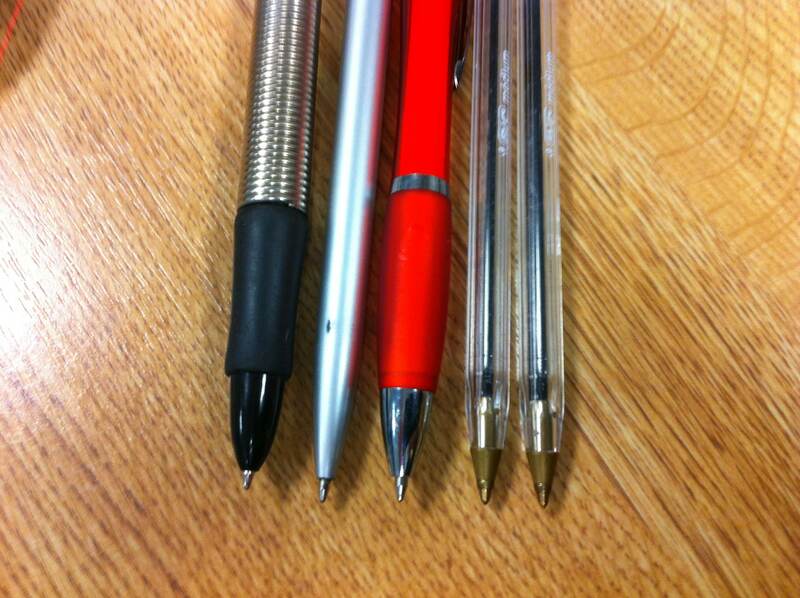 Tom leans forward and begins to collect the pens that are scattered around my desk. He lines them up in a neat row. Your nose is a bit crooked. And your skin is pretty wrinkled around the eyes. You asked me earlier what I think is wrong with your face. That’s what’s wrong with it. And you’ve got blue eyes but there’s a big blob of brown in your right eye. And your right ear is a different shape to your left. Is there any advice that you have for people who are out fishing for a partner, Tom? My advice is to use your brain. Be patient. And if you’re looking for a woman, leave the binoculars in the drawer. Oh, and one of the most important things is that it’s probably best not to go around randomly photographing women. Tom Stacey is the central character in the novel ‘A Model Partner’, due to be published by Liberties Press in spring 2014.